Are you in need of inspiration for a special space for your little people or maybe you want a one stop shop for all things hip with the kids (and their stylish parents)? We’ve found just the place, click on through for all the details and a hefty dose of cute! 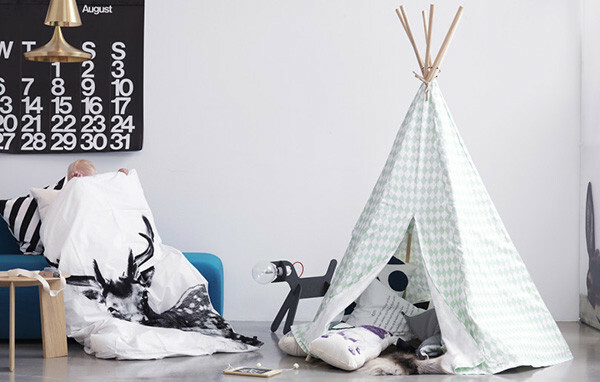 Hailing from Sweden, The Youngsters is rocking the too-cool-for-school vibe – if it’s stylish kids and seriously awesome kids rooms you’re looking to mould and create, the solution lies within this store. If you’re mad about all things monochrome, The Youngsters bedding range is out of this world. You’ll find Beau Loves Harlequin print linen with matching superhero mask here and is also home to a range of soft coloured geometric cot linen. 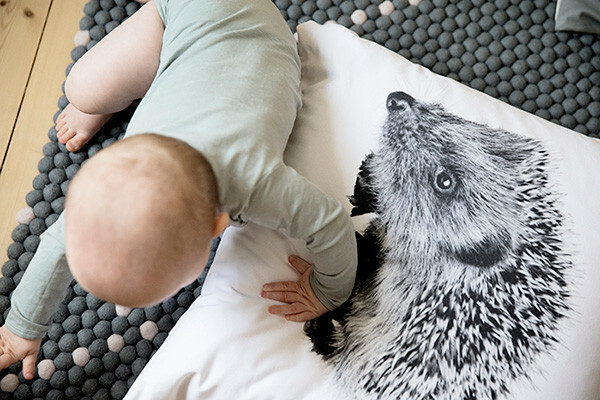 Perhaps you want something with an animal theme but not too cutesy – the bear and deer print quilt covers from By Nord surely tick this box, twice over! 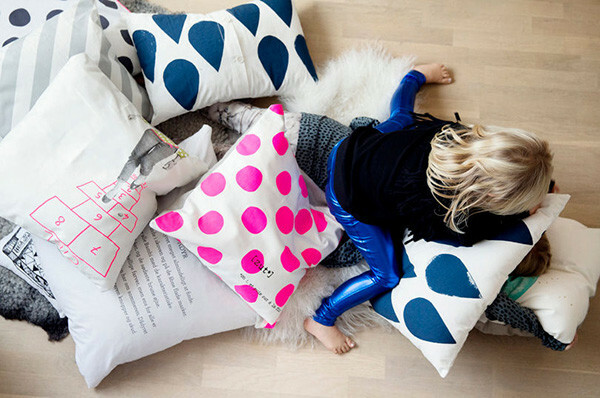 The Youngsters appear to suspect that we’re crazy about cushions, and even if you’re not, one look at this gorgeous collection of pillowy goodness on offer will have you coveting one of everything. Now it’s not just linen and cushions that’s got me all excited, there’s giant posters, giant cardboard toys, wooden toys, huge colouring in sheets and quite the selection of washi tape on offer. All those finishing touches that wrap up a room nicely can be found here too. Wooden houses, gorgeous garlands and mesmerising mobiles – they’re all fantastic for adding interest to nooks and shelves. A community service announcement of sorts – The Youngsters have teepees. 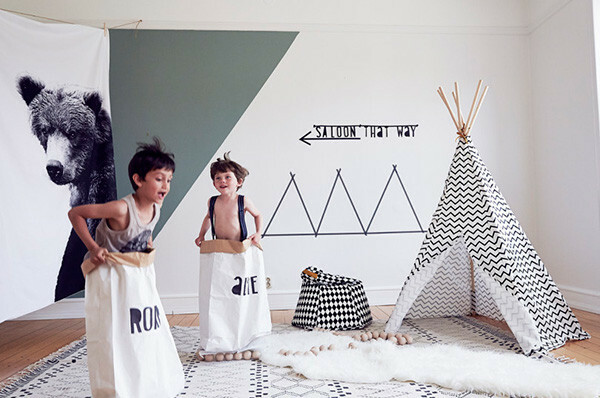 I don’t think a child would ever knock back the offer of a teepee in their room and seriously, if you can manage to get one that complements their existing room decor as beautifully as this, you want to do that for your uber stylish self! To see all the magic for yourself, run on over to The Youngsters. All prices are in Swedish Kroners and include Swedish VAT of 25 per cent, so it will be handy to have a currency converter at close hand.